Benjamin Sauter and David McGill of Kobre & Kim LLP and Brian Klein of Baker Marquart LLP are civil litigators and criminal and regulatory defense attorneys. They are also part of the Digital Currency & Ledger Defense Coalition, a group of over 50 lawyers dedicated to protecting US blockchain innovators. 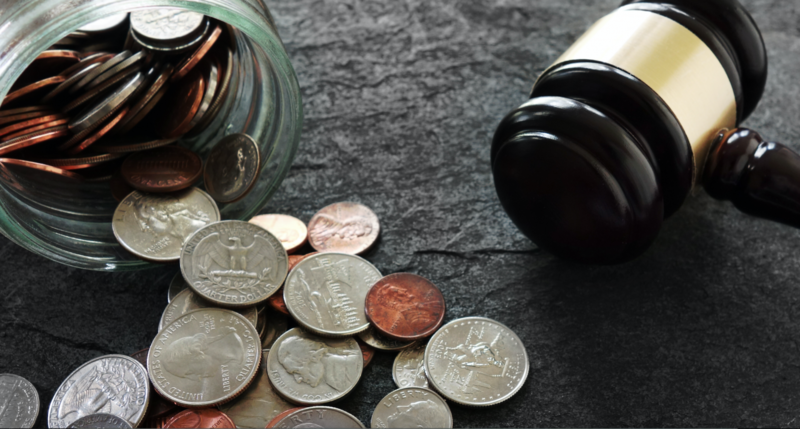 In this opinion piece, the three attorneys ask if purveyors of initial coin offerings (ICOs) should fear the long arm of US law, citing a recent SEC decision that suggests the answer is yes. While there’s no direct answer, a recent statement by the head of the SEC’s blockchain task force provides one clue. At CoinDesk’s Consensus 2017 conference in New York, Valerie Szczepanik unofficially said that those involved in ICOs must protect investors, including by fully disclosing associated risks. Blockchain professionals should closely monitor how case law develops in this area and factor it into ICO plans. ICOs have exploded in popularity, in large part because they allow less-established companies to raise funds outside of traditional investment channels. They do not fit neatly within any previous fundraising paradigms. They come in all shapes and sizes. A ‘typical’ ICO involves a company proposing a project to potential supporters, who then acquire (through investment, donation or otherwise) an amount of the company’s own proprietary digital currency or token. ICOs have been wildly successful as of late. Bancor raised nearly $150m earlier this week for its Bancor Network Tokens, while web browser maker Brave recently raised $35m in less than a minute for its Basic Attention Tokens (BAT). For better or worse, digital currency’s relatively novel nature and unprecedented success is attracting significant scrutiny, including by regulators like the SEC. The Traffic Monsoon case – which does not involve an ICO, but involves what is arguably an analogous offering – is instructive for how the SEC may approach ICO enforcement. In March 2017, a federal court in Utah authorized the SEC to proceed with an enforcement action against the Utah-based internet advertising company Traffic Monsoon. In the SEC’s complaint, it alleged that Traffic Monsoon was orchestrating a Ponzi scheme in violation of US securities laws by inducing its ‘members’ to purchase ‘AdPacks’ (a product that promised a certain number of visits to their websites) in exchange for a share in the company’s future revenues. Traffic Monsoon countered that its AdPacks were not ‘securities’ under US law and that its sales were beyond the reach of US securities laws (and the SEC) because approximately 90% of sales took place abroad. The presiding federal court disagreed with Traffic Monsoon, finding that the AdPacks were securities and that the SEC could enforce US securities laws as long as the foreign sales had a substantial effect in the US. Acknowledging both the importance and the novelty of its decision, the court certified the decision for immediate appeal. The appeal process is expected to unfold over the coming months. What it said constitutes a Ponzi scheme. The ‘economic reality’ of the AdPack purchases was more similar to an investment than a purchase of a service, because demand was “driven by members purchasing and repurchasing AdPacks in order to obtain the incredible returns on their investment, not by intense demand for Traffic Monsoon’s services”. The returns from the AdPacks came “solely from the efforts of others”, despite the fact that investors were required to personally visit other websites to participate in revenue sharing. This opens the door for the SEC to classify a new digital currency or token as a ‘security’. And it may signal that courts will look beyond mere nomenclature in reviewing that classification. If the underlying economic substance of the ICO looks or feels like an investment, simply calling it by another name (for example, a ‘donation’, ‘presale’ or ‘crowdsale’) may not carry the day. Likewise, the SEC may deem an ICO to be a security issuance, even if those acquiring the new coin or token have some ongoing role in the organization. The court’s decision in Traffic Monsoon broke new ground on the question of the SEC’s territorial reach. The court held that the company’s foreign sales were subject to an enforcement action because “significant steps in furtherance of the violation” had occurred in the US. The court specifically observed that Traffic Monsoon was conceived and promoted by persons located in the US. This holding may foreshadow expanded SEC (or US Department of Justice) authority to bring enforcement claims even when securities transactions occur entirely outside of the US. Companies engaging in ICOs need to carefully understand the likely impact of their issuances in the US and how they market or sell the new coins or tokens. The Traffic Monsoon case may open the door to private claims by disgruntled non-US investors. Ordinarily, private individuals may bring US securities claims only if the security is listed on a US stock exchange, or if the purchase or sale of the security occurred within the US. The court found that this standard was met because Traffic Monsoon was a Utah company, and thus even AdPack sales to foreign individuals over the internet were “domestic transactions”. Disgruntled foreign investors may well invoke this part of the decision to sustain private claims in US courts. And given the limited resources available to the SEC’s enforcement division, this may turn out to be the most significant risk arising from the decision. The court also held that Traffic Monsoon’s AdPack investment arrangement constituted a Ponzi scheme. This is because, at bottom, the “returns [were] not based upon any underlying business activity”, and instead “money from new investors [was] used to pay earlier investors”. Additionally, the court noted that a Ponzi scheme exists when investor profits “are not created by the success of the underlying business venture but instead are derived from the capital contributions of subsequently attracted investors”. As a result, the court ordered the seizure of all of the company’s funds and enjoined the company from collecting further payments. If applied more broadly, this holding could have implications for, among others, early-stage entrepreneurs raising successive funding rounds. In an environment where at least a few high-profile ICOs have been publicly condemned as Ponzi schemes, companies and investors should be aware of the broad and often vague contours of a Ponzi scheme under US securities laws. To date, the ICO regulatory compliance discussion has focused on whether the newly issued coins or tokens are securities subject to the SEC’s jurisdiction. The Traffic Monsoon decision is a potentially significant development that warrants close attention, particularly in conjunction with Szczepanik’s warning about protecting investors. Not just buyers, but sellers beware.